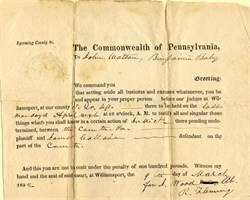 Historic summons from the Commonwealth of Pennsylvania letter issued in 1832. This item has been handsigned and is over 182 years old. Minor splits.